Free shipping with tracking &amp; insurance. We will forward your tracking number within 24 hours of payment. 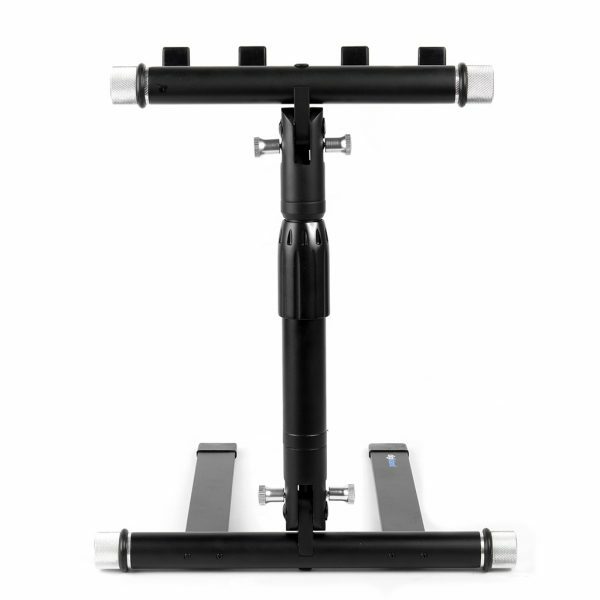 The Digistand LPT01 folding DJ laptop stand is a folding laptop stand for DJ’s and musicians. It is made from lightweight and durable aluminum alloy, which, together with its compact folding design, makes it ideal for storing and traveling. 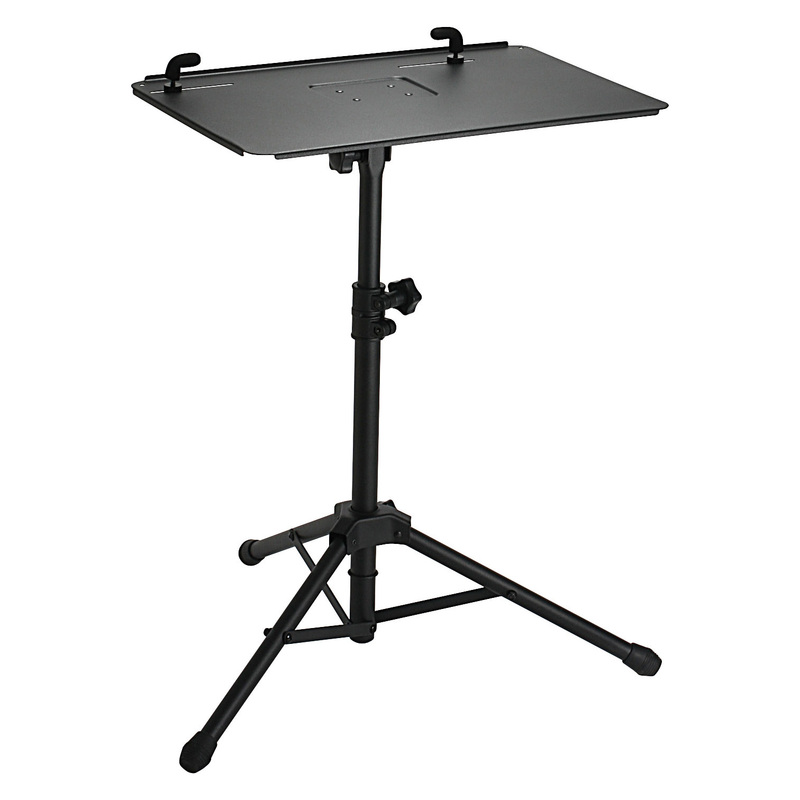 The Digistand LPT01 folding DJ laptop stand features spring-loaded quick-release latches to lock the tray and legs in place, to ensure safety and stability during performances. 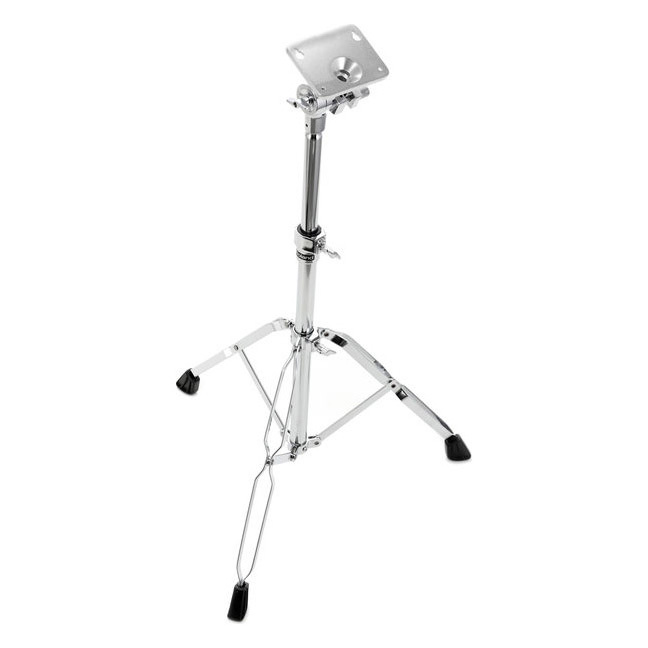 There are no complicated gears and hinges to tighten and loosen every time the stand is used. 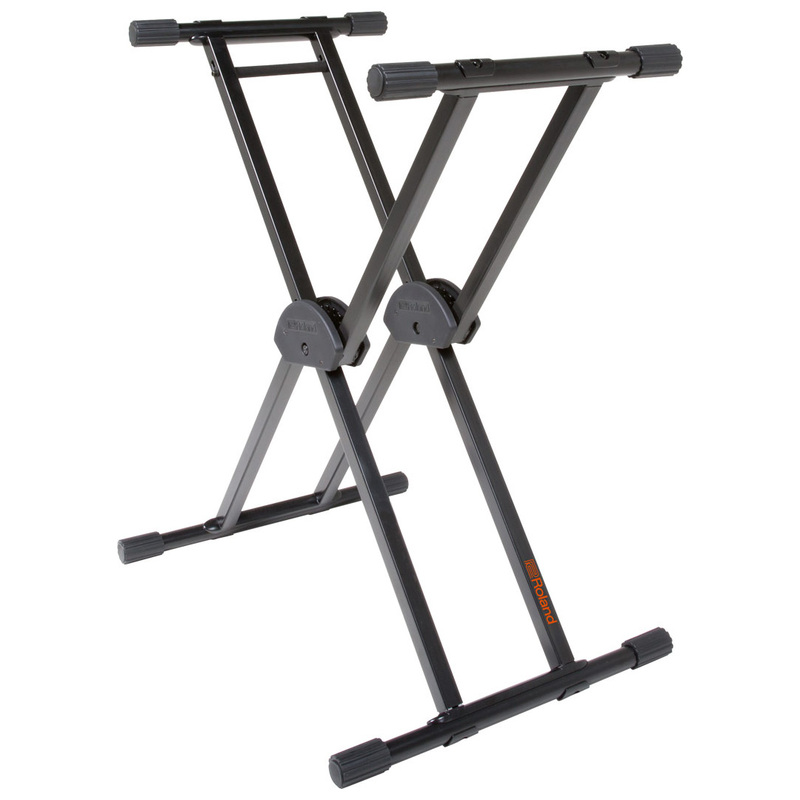 The stand will lock itself thanks to the spring-loaded latches. 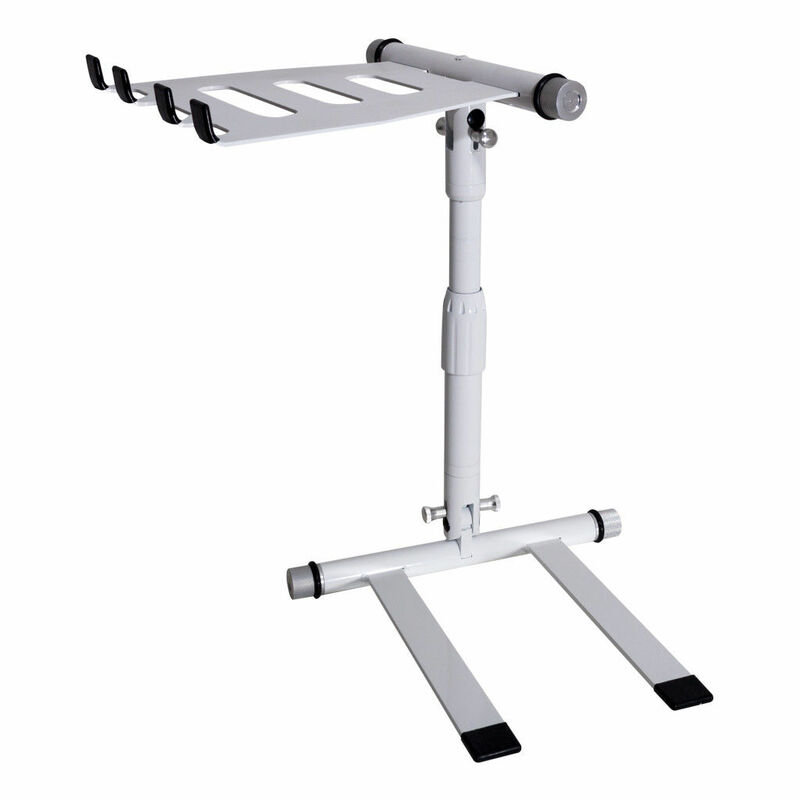 To fold the stand, simply pull on the latches. 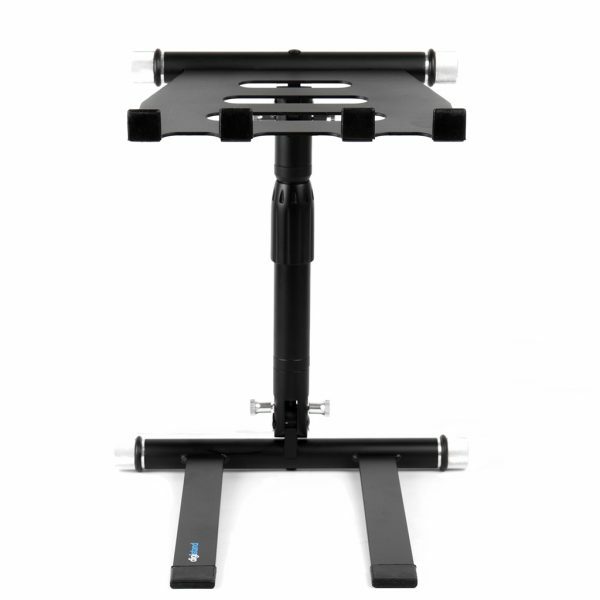 The Digistand LPT01 is the quickest, easiest and most intuitive laptop stand to setup and breakdown. The laptop tray is angled slightly down for additional safety and comfort. 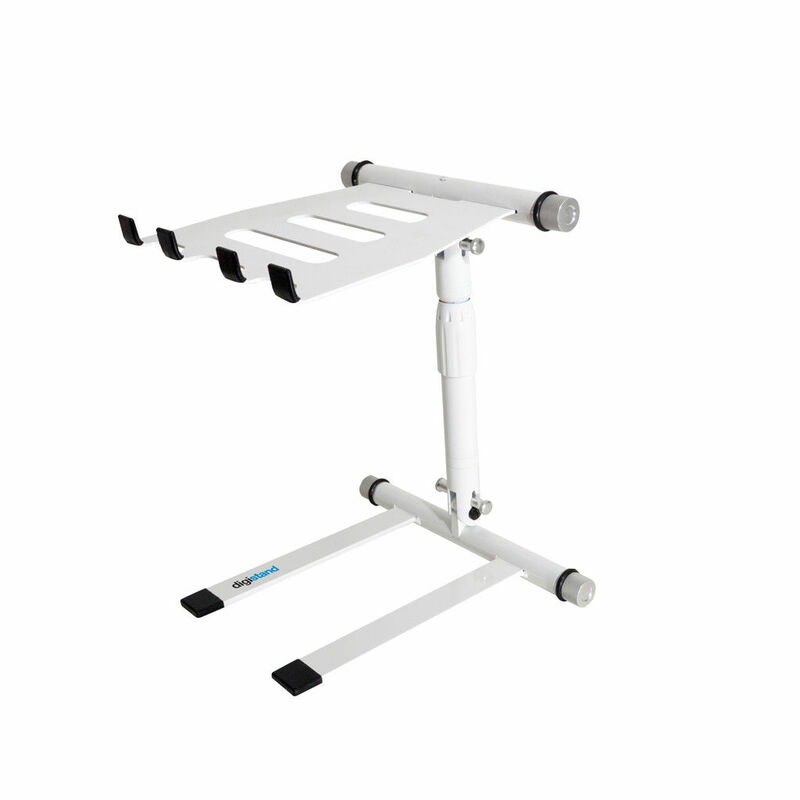 The height of the tray is adjustable from 13.5” to 16.5”, and it can be rotated left or right for perfect positioning in tight environments. The included rubber rings and sleeves protect the laptop and work surface from scratches while guarding against slipping and sliding. 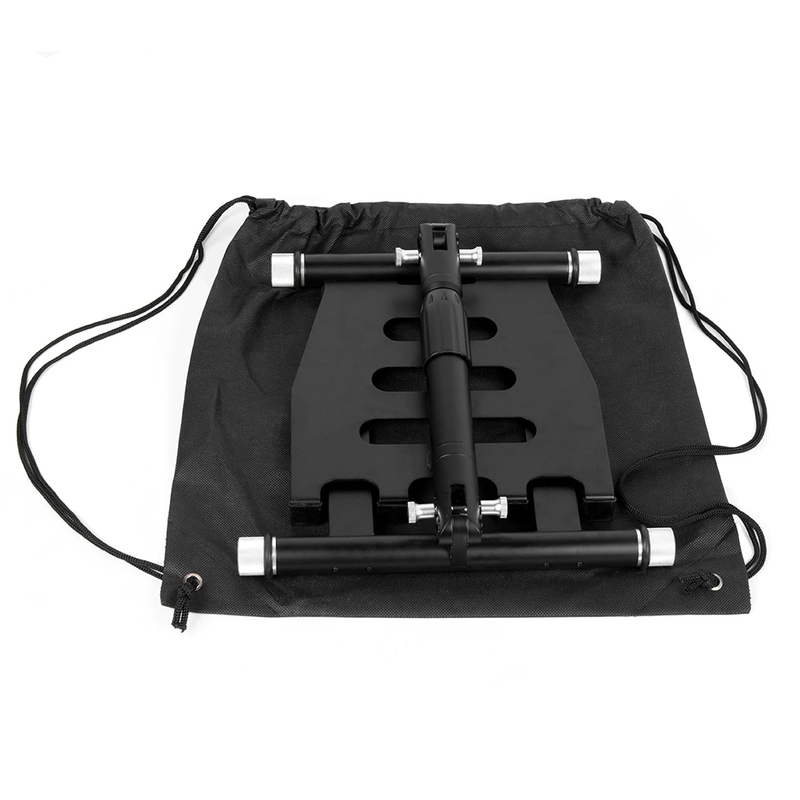 The Digistand LPT01 includes a carrying pouch for storage and protection. 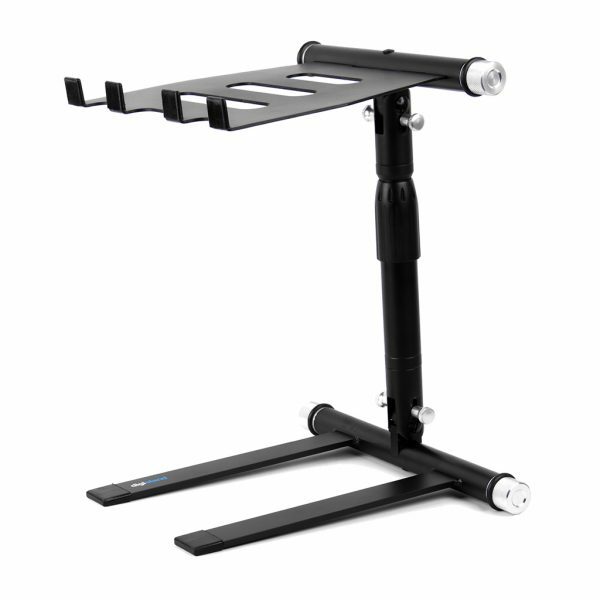 Please note, RIOTSOUND INC is an AUTHORIZED DEALER and direct partner of DIGISTAND. With nearly a decade of pro-audio retail experience, at RIOTSOUND INC we offer you the expertise, commitment and attentive customer service to make sure you will be 100% satisfied with your purchase, each and every time. Please shop with confidence and peace of mind.